I wasn't sure what shape this would be in, but for the price I just couldn't pass it up! 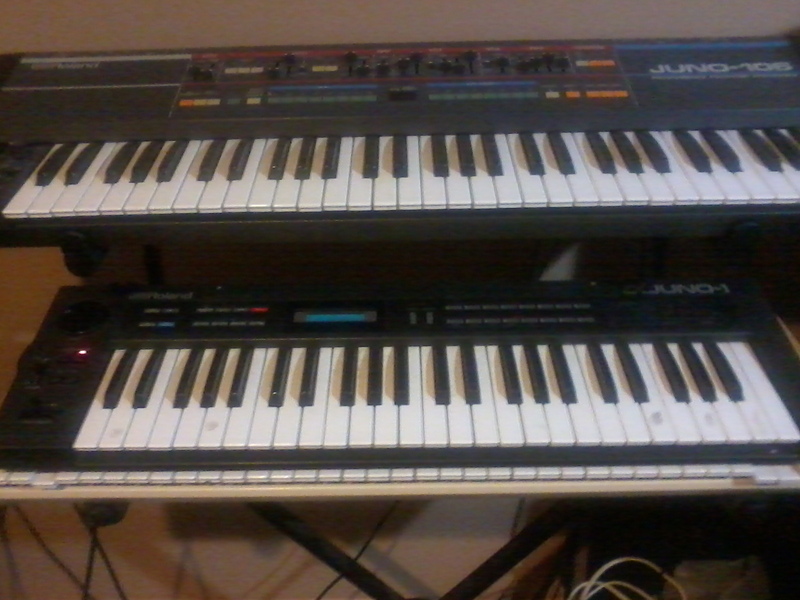 It is missing the power chord, but It uses the same Roland chord so I just took the one from my Juno106 (which is f ing broken anyway) and checked it out. Flawless! it is in great shape. There is something rattling around inside though, I should take it out before it wrecks something. 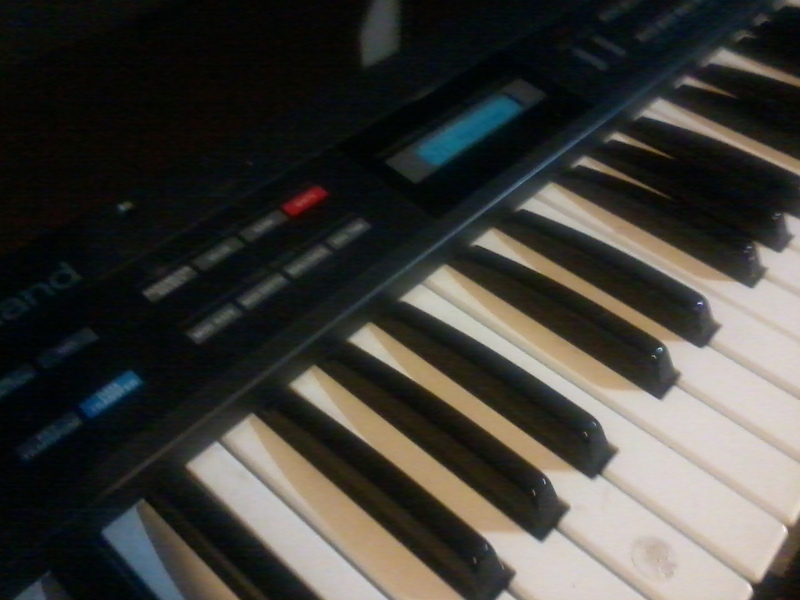 Sounds sort of remind me of the Ensoniq ESQ-1 that I recently and sadly sold. 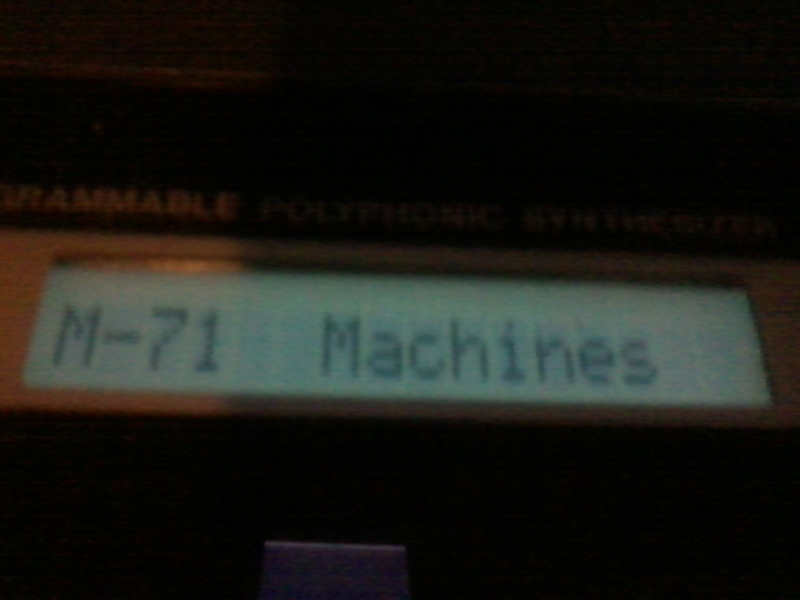 My first impression is this is a pretty cool synth. Tomorrow I will dig deeper. UPDATE: So I cleaned up the stickers on the keys and opened it up and found 2 pencils inside. Haven't tried to edit it yet, just downloaded the manual. Many things to learn about this yet. 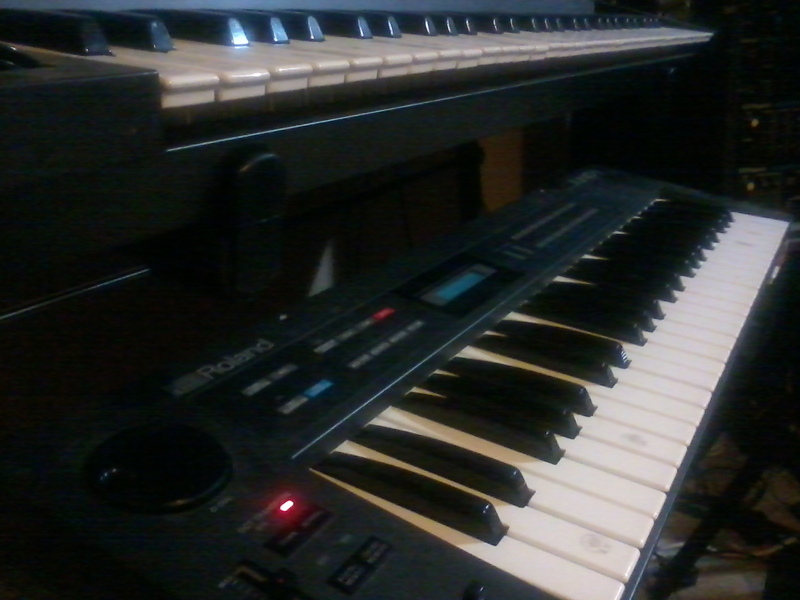 Just changed the MIDI channel today :), but I have been playing the stock sounds for a couple of weeks. Very cool find. 2016: I have a bit of a dilemma, I was going to use it as an analogue to compliment the u-20 for some live gigs but decided I wanted to carry less not more equipment. There really isn't room for this little guy, but it is on a stand for the time being. Not sure if I will keep it or not. 2012: It is downstairs with the others. I just have to buy another stand or something to put it on. There is an alpha juno site, I will have to find it.